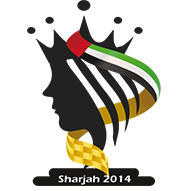 FIDE Women's Grand Prix in Sharjah - Welcome to the official website of Natalia Pogonina! Welcome to the official website of grandmaster Natalia Pogonina! Schedule: August 24 - September 7. Rest days on August 29 and September 3. Participants: Hou Yifan (2661), Koneru Humpy (2598), Ju Wenjun (2559), Harika Dronavalli (2521), Zhao Xue (2508), Tatiana Kosintseva (2494), Elina Danielian (2490), Anna Ushenina (2487), Zhu Chen (2461), Alina L'Ami (2446), Tuvshintugs Batchimeg (2346), Nafisa Muminova (2315). The final stage of the FIDE Women's 2013-2014 Grand Prix will be a race between Koneru Humpy (370 points) and Hou Yifan (365 points). Only they still have a shot at winning the Grand Prix. 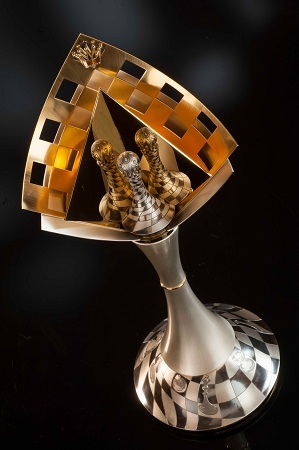 The winner of the Grand Prix will challenge the 2014 Women's World Chess champion in a 10-game match. Should the Grand Prix winner be the 2014 World Champion, the Grand Prix runner-up will play the 2015 championship.